We believe in finding beauty by honouring both the natural environment and our artistic heritage. We search for the artefacts that wait for us in attics and basements, and find novel ways to reintroduce them to the light. 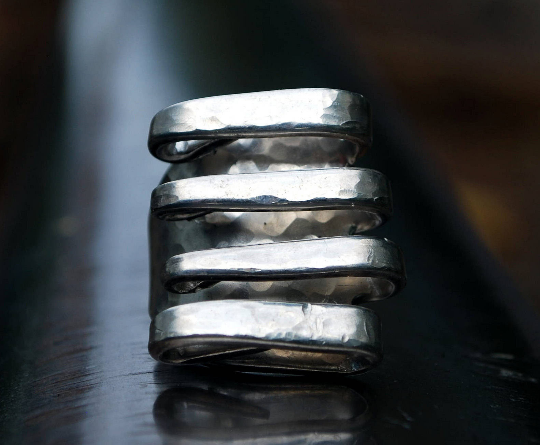 We aspire to offer each piece a new life: a new chapter in its journey. Each piece we make is a collaboration with our artistic predecessors. 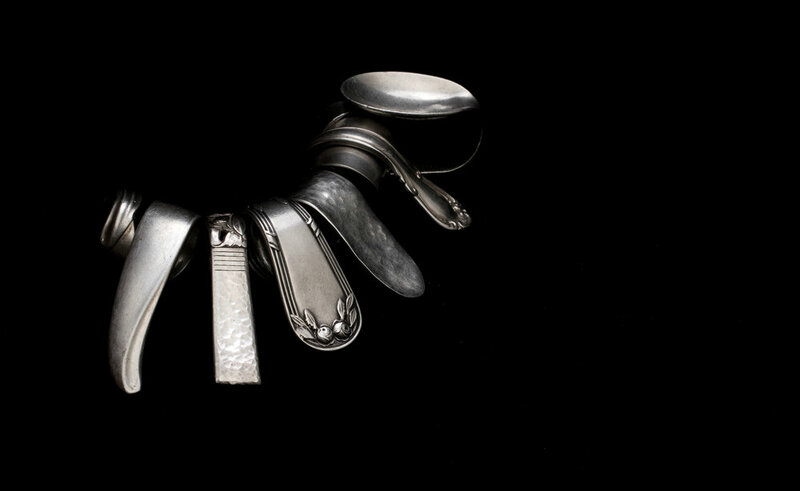 In many cases, the people who made the silverware that we work with were doing exactly what they wanted to: making spoons and forks. 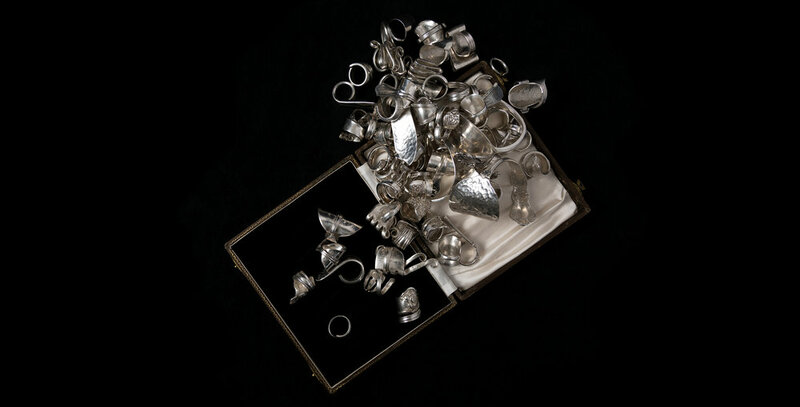 In other cases, highly skilled artists and artisans - who may have even been sculptors or jewellers - took jobs making silverware as a way to get by. We have the opportunity to push their work a step closer to what we suspect they may have wanted it to be. Salvage carries commitments to folk tradition, creative innovation, and environmental sustainability. We make elegant, stylish pieces that are both antique and contemporary; that remix history with avante-garde fashion; and that shine while maintaining their mystery. And, given our chosen material for Salvage - who could ask for a better companion at a dinner party?